Silvas Beach Hotel - Negombo. Book your hotel now with RoomsBook. Silva's Beach Hotel is located just 20 minutes' drive from Bandaranayake International Airport, It is an attractive, quality accommodation in one of Sri Lanka's prime location in NegomboSilva`s Beach Hotel is targeting both leisure and business travellers and located 3.5 km away form the city center.The hotel provides the best in services and amenities to its customers.This is a excellent accommodation in a prime location in Negombo , where you can feel the sensational sea breeze alone with the gorgeous garden. Most importantly its Just 2 minutes for sea. The ambiance of Silva's Beach Hotel is reflected in every guestroom. fan, air conditioning, ironing facilities, shower, balcony/terrace are just some of the facilities that can be found throughout the property. The hotel offers wonderful recreational facilities such as garden, pool (kids), outdoor pool to make your stay truly unforgettable. 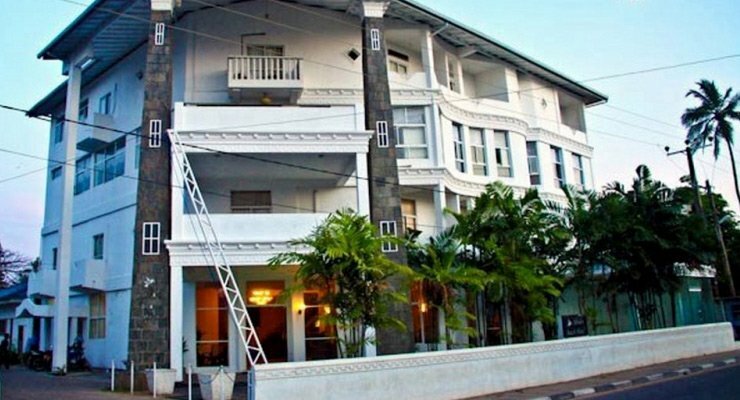 Whatever your purpose of visit, Silva's Beach Hotel is an excellent choice for your stay in Negombo.